Amazon recently announced it has loaned over $3 billion to small business that use the Amazon platform to sell their wares. In fact, the marketplace giant lent more than $1 billion in the last year alone. With over 300 million customer accounts throughout the world, Amazon can be a great place for third-party sellers to find more customers. For vendors who market their products in local shops and boutiques or at online stores like Etsy and Ebay, selling to Amazon customers seems like the next logical step. Of course, it takes money to make money, putting Amazon’s sales platform out of reach for small and micro-businesses whose profit margins are already razor thin. The Amazon Lending program, which launched in 2011, helps small companies buy more supplies, equipment and inventory to expand and grow their businesses. Loan amounts start at $1,000 and go as high as $750,000. “We created Amazon Lending to make it simple for up-and-coming small businesses to efficiently get a business loan, because we know that an infusion of capital at the right moment can put a small business on the path to even greater success,” says Peeyush Nahar, Vice President for Amazon Marketplace. The Amazon Lending Program sounds like the perfect remedy for a fledgling small business or a way to help boost the sales of an established one. The problem is, you can’t just call up Amazon and ask them to float you a $2,000 loan to buy more supplies. Actually, you can’t ask them for any money at all. Access to the Amazon Lending program is by invitation only. You must be a current merchant to even be considered, and even then you won’t necessarily be selected to apply for a loan. “But even being a merchant doesn’t guarantee you’ll qualify for one of Amazon’s small business loans,” explains Forbes’ Drew Hendricks. He says the company appears to comb through customer feedback and its merchant database to primarily invite top-performing merchants to its loan program. In other words, don’t call them; they’ll call you. Fret not, good readers. 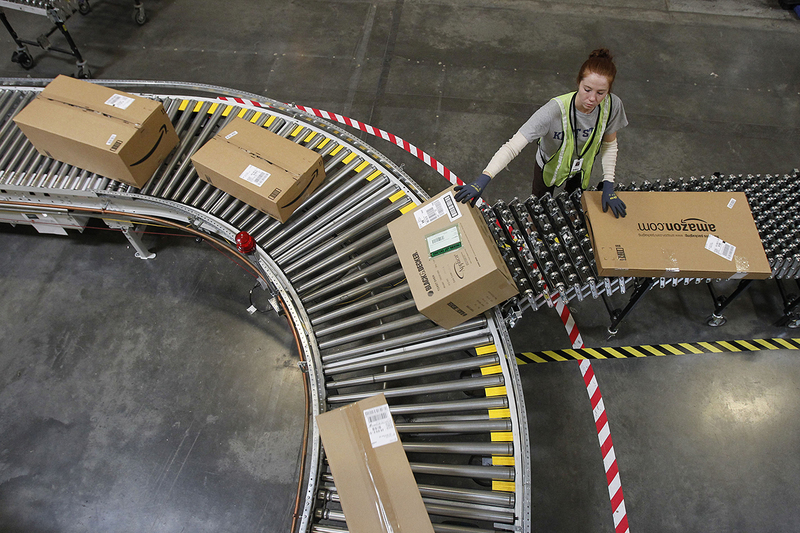 Amazon’s Lending program may not be a good fit for your small business anyway. Third-party sellers on Amazon Services Seller Forum say loan interest rates can be very high, hovering around 15.9% to 16.9%. The loan terms aren’t always so great either. Small and micro-businesses have a few different loan options to help their cash flow and expand their reach. The Amazon Lending program may be a worthwhile opportunity for some small businesses, but it’s good to know it’s not the only opportunity. Lisa McGreevy is a staff writer at The Penny Hoarder. She loves writing about things that help readers follow their dreams. If you have a great tip or story to share, let her know on Twitter @lisah.